Established in 2014 as a joint initiative between the Dubai Chamber of Commerce and Industry, the Dubai Department of Tourism and Commerce Marketing (DTCM) and Dubai World Trade Centre (DWTC), Dubai Association Centre has announced 16 new registrations of international associations in the first half of 2018. The Centre now has a total of 58 licensed associations, with 16 registrations received since the start of the year, reflecting a growth of 38%. Newly registered associations include: Energy Institute, Arab Association of Urology, International Coach Federation, Gulf Flight Safety Association, and the International Live Events Association. The expanding presence of associations in Dubai demonstrates the high calibre of business leaders and industry experts who reside in the city. There is also an increasing interest from local trade professionals to become part of international associations, or form local ones, and play a part in overall industry progression. This interest was recognised at the first-ever Dubai Association Conference held from 11-12 December 2017. The Conference laid a strong foundation to attracting a solid network of international associations that support in achieving the nation’s vision – to become the most innovative country, not just in the region, but globally. Associations play a vital role in attracting business events to Dubai, something which will come into focus when Dubai hosts the 57th edition of the International Congress and Convention Association (ICCA) Congress, from 11-14 November 2018. The congress is set to bring together meeting planners and industry professionals from all around the world, creating a platform for knowledge and business exchange as well as networking opportunities. 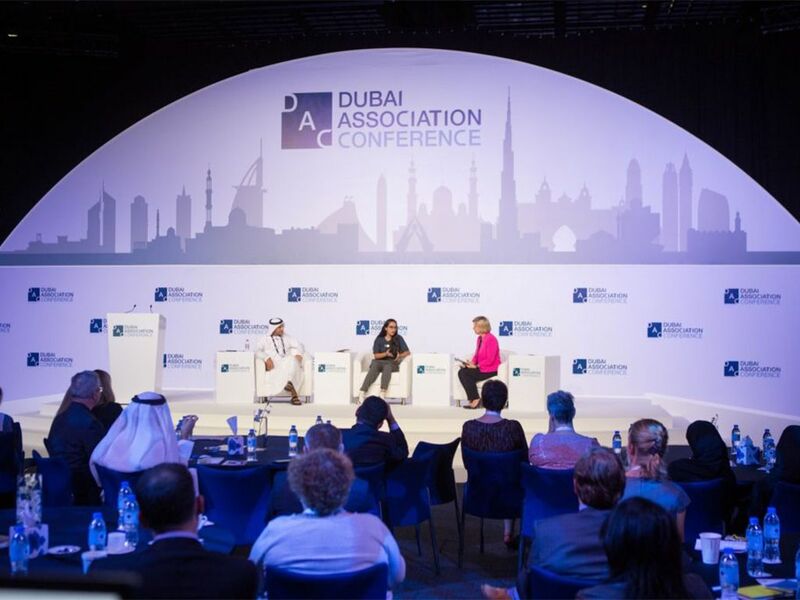 The Dubai Association Centre was established in response to the surge in the demand for association engagement in the UAE and the Middle East. It offers assistance for apolitical and non-religious professional associations as well as trade bodies who are looking to set up representative offices or chapters in Dubai. Local trade practitioners from common industries or professionals can also form member-based associations through the Centre. Its main objective is to become a platform for dialogue and education for associations interested in exploring opportunities in the Middle East Region and to ultimately contribute to building an association community that drives the knowledge economy in the United Arab Emirates and the wider Arabian Peninsula. Among the associations to set up through DAC this year has been Eurovent Middle East, which is aiming to educate the ventilation, air-conditioning and refrigeration market and work with authorities to increase energy efficiency and indoor air quality. Brian Suggitt, Chairman of Eurovent Middle East, said: “The Dubai Association Centre has been really helpful and supportive in establishing Eurovent Middle East in Dubai. We would like to thank everyone at the Chamber and the Dubai Association Centre to provide this facility and service. For further information about Dubai Association Centre, please visit: here. Αναρτήθηκε από geop στις 4:55 π.μ.